Sounds of circular saws, hammers and power drills echoed far and wide as ten U.S. Army Soldiers were taught vertical construction techniques during a five-day expeditionary construction workshop at the National Training Center, Fort Irwin, Calif.
Students began with a briefing on safety procedures and attended a quick tool familiarization class, then quickly dove into real world practical construction projects. “They’re not just digging holes to fill them in again, they’re able to say, ‘hey we built that. '” said Capt. Dan Gimm, NTC Reserve Component Engineer Coordinator. This was the fifth iteration of the workshop, which started September of 2016 and focuses on real world vertical construction applications, teaching engineers how to implement various construction methods with very little materials and sometimes no plans to build from. 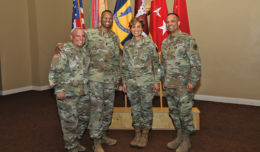 Both Active and Reserve Component Engineers were broken down into two teams and their military occupational specialties ranged from electricians to combat engineers. The teams created window shutters and made roof repairs on two of the three structures at a combat outpost. One building was completely damaged by the constant high winds, so the students salvaged those materials to use on the other buildings. 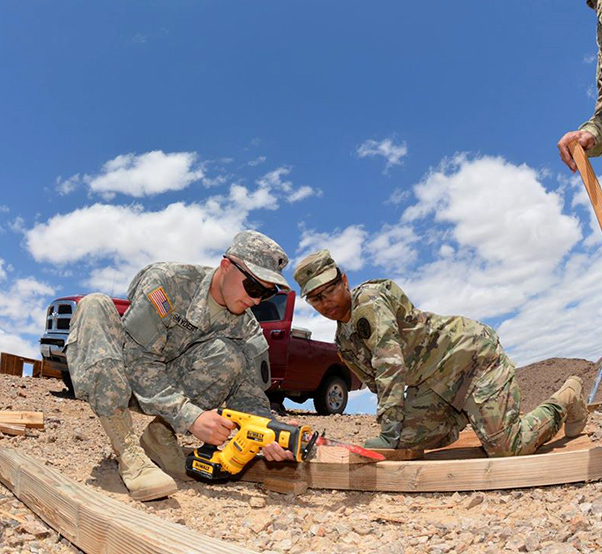 The expeditionary construction workshop emerged after Gimm noticed a disproportionate ratio of horizontal construction projects at Fort Irwin, such as building roads and pushing earth, compared to vertical construction missions that focus more on carpentry skills. 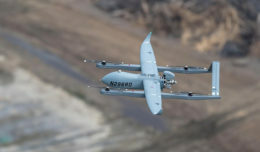 Aiding in the concept development were Gimm’s experiences leading vertical construction missions in Iraq and Afghanistan, which gave him insight on the challenges of austere construction. The teams created window shutters and made roof repairs on two of the three structures. On the last day of the workshop, students made their way to Brigade Hill, where they conducted a reconnaissance and damage assessment on a mosque that had suffered wind damage. 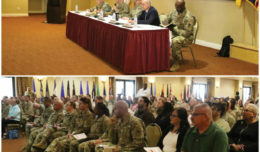 The assessment will serve as the starting point for the structure repair class during the next iteration of the expeditionary construction workshop. Capt. Dan Gimm, NTC Reserve Component Engineer Coordinator, gives instructions to the class on their next project. 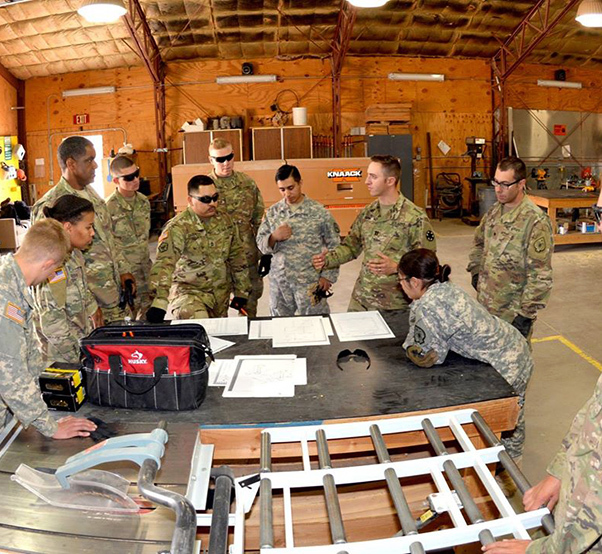 The highlight for most students was day three of the workshop, where they traveled to a remote location via UH-60 Black Hawk to perform expedient structure repair on a wind beaten combat outpost.